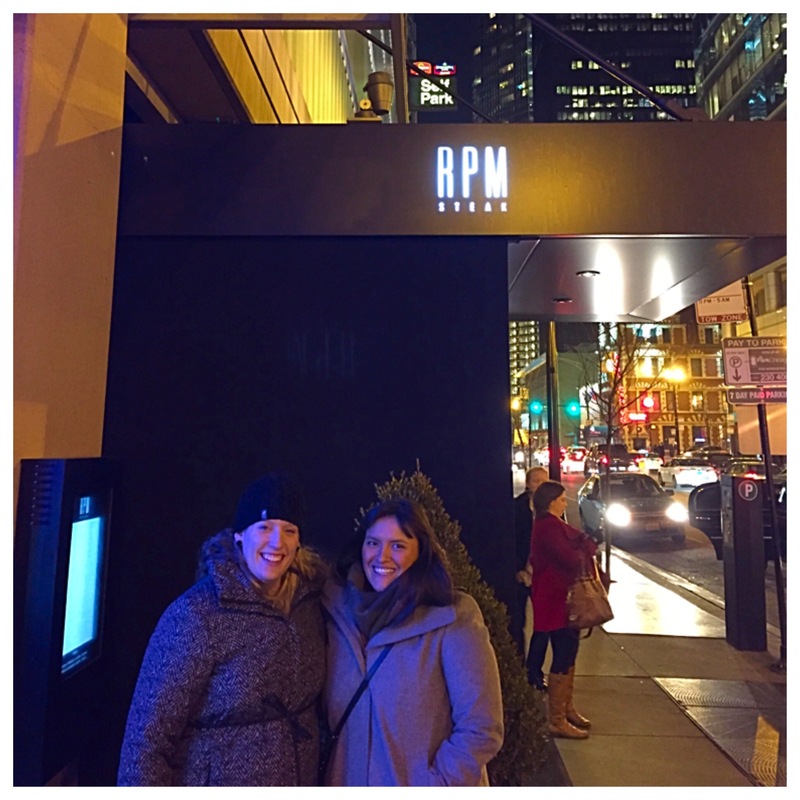 When my friend Sandra suggested RPM Steak for a couples’ night out, I was pretty excited to see what all of the RPM hype is about. 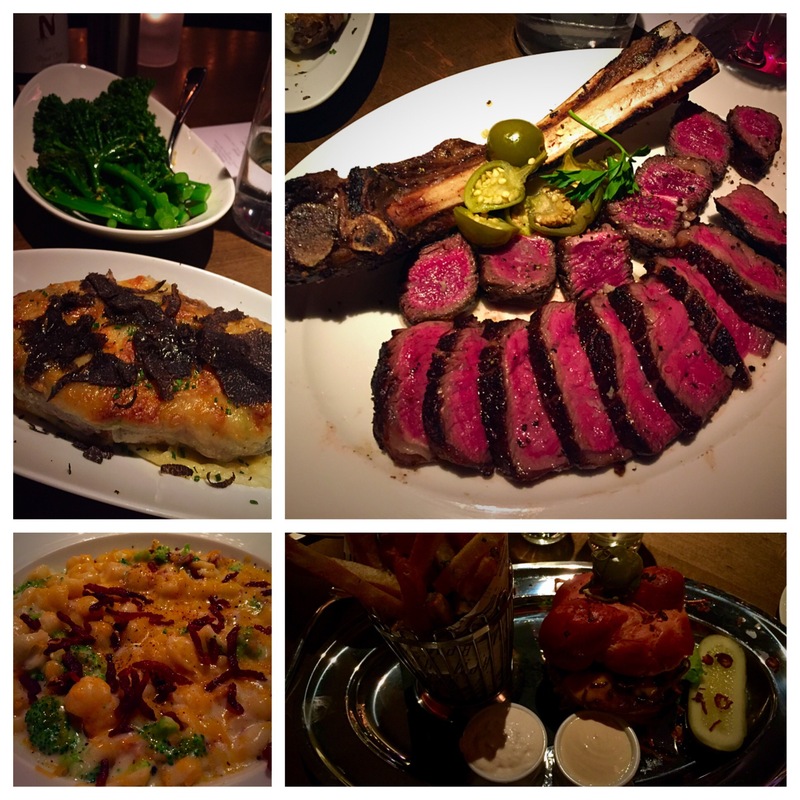 I haven’t been to RPM Italian yet, and I’m not a big steak eater, but I was sure there would be plenty for me to try. 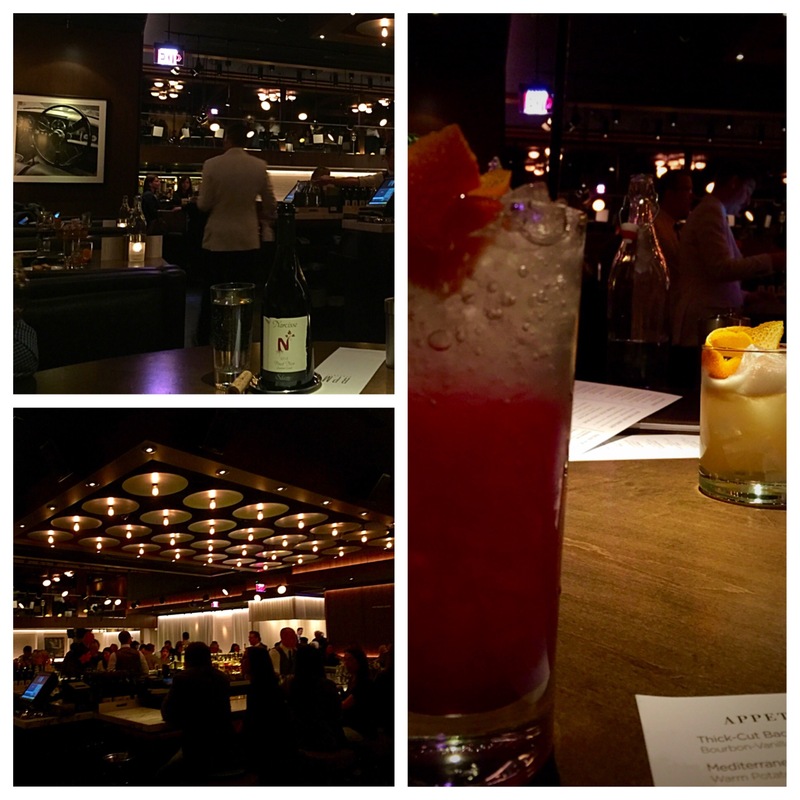 We were seated quickly in the bar area, in a nice rounded booth with a good view of the two-story restaurant. Our waiter was attentive, and we ordered beverages right away. Food options were a little more difficult to decide, so we decided to eat like kings! 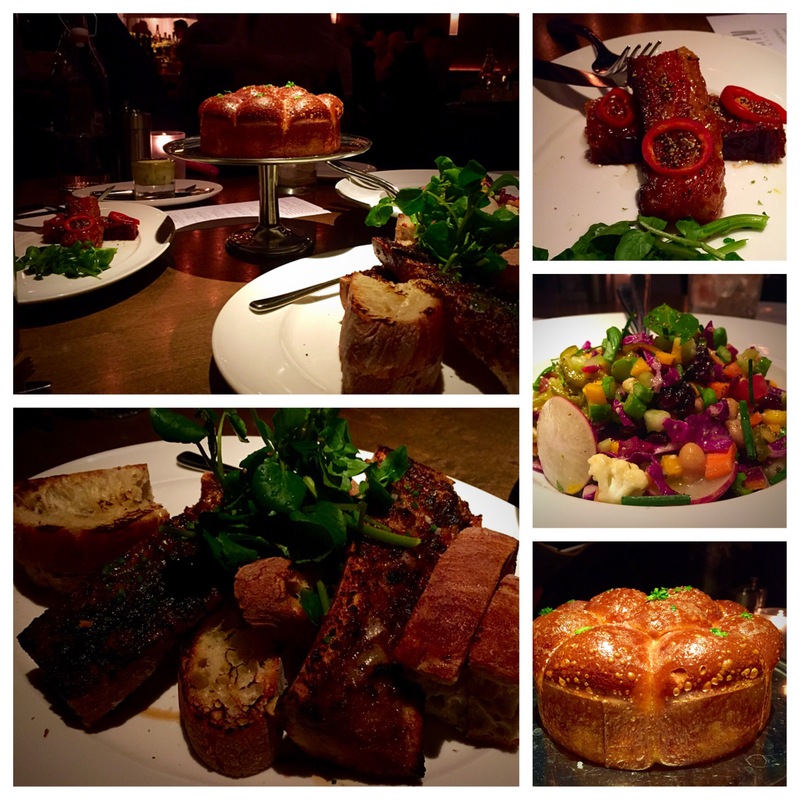 For appetizers (which were all a hit), we ordered the Thick Cut Bacon, Roasted Bone Marrow, and Giuliana’s Chopped Salad, which was my favorite item of the night! (It was like a delicious salad without the lettuce, which you just eat to get to the good stuff anyway.) The Parker House Rolls with Rosemary Nordic Butter were also mouthwatering, too. Next, on to main courses and sides. I opted for the Dry Aged Steak Burger, which arrived in front of me on a silver platter–no joke! Only problem was…it wasn’t my favorite. I had already had so much delicious food that this just didn’t hold up to the same standard. I think I didn’t order the right entree, either. A steak would have been more appropriate. Perhaps the 38 oz. Dry-Aged Steak that the boys ordered. (It looked pretty amazing.) Sandra ordered the Macaroni and Cheese, which also looked decadent. For sides, we sampled the sautéed broccolini and the Millionaire’s Potato, double baked with fontina cheese and black truffle (too rich for me to even try!). I felt like a millionaire with so much amazing food on our table! Would I recommend RPM Steak? If you’re looking for an extra special meal and budget is no object, yes, for sure! I know we definitely enjoyed our meal–and the company was even better!! !